1) In a large bowl, sift the flour and salt, add the butter and mix together loosely with your fingers. Mix until all the flour is blended into the butter. 2) Make a well in the middle of the mixture and add about 1/3 of the water, mix until you have a dough like consistency. 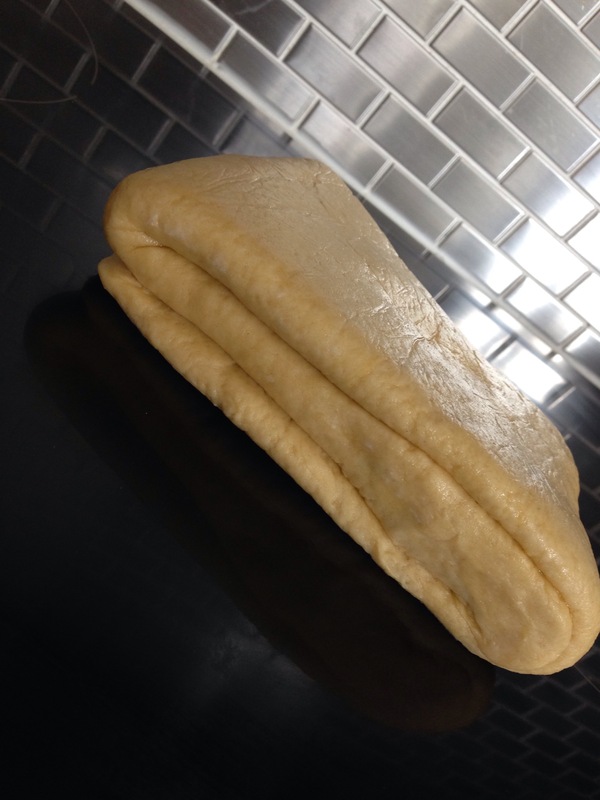 Cover with cling film and refrigerate for 20 minutes to allow time for the dough to rest. 3) On a lightly floured surface, turn out the dough and kneed gently. With your hands, form into a rectangular shape, then roll in one direction only, until it is 3 times its original length. 4) Fold the bottom third up into the centre, then the top third down over that. 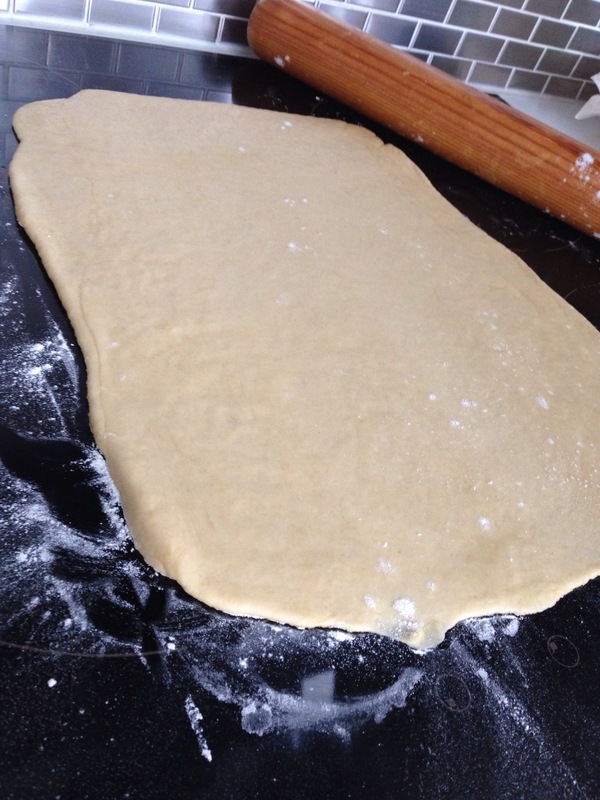 Turn the dough 90° to the left or right, and roll out again to three times the length. 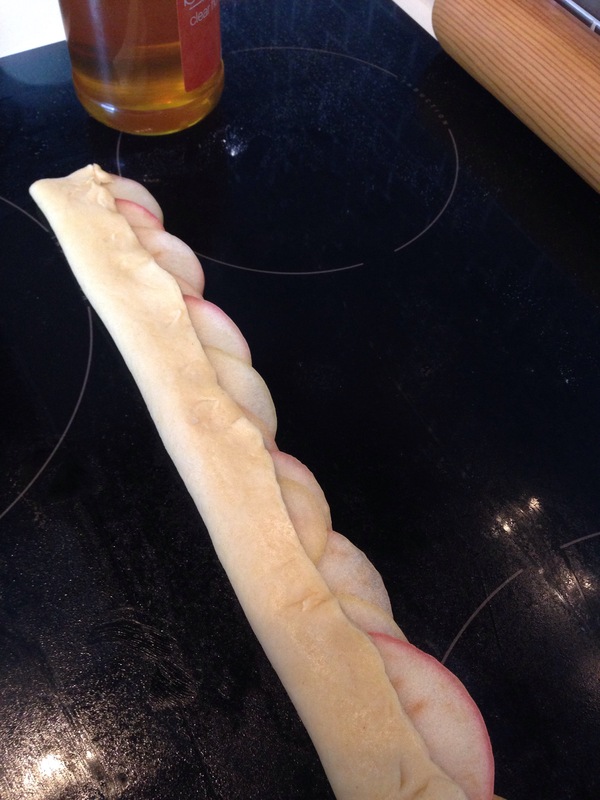 Fold like before, then cover with cling film and refrigerate again for at least 20 mins before rolling to use. 1) Preheat your oven to 190°C. 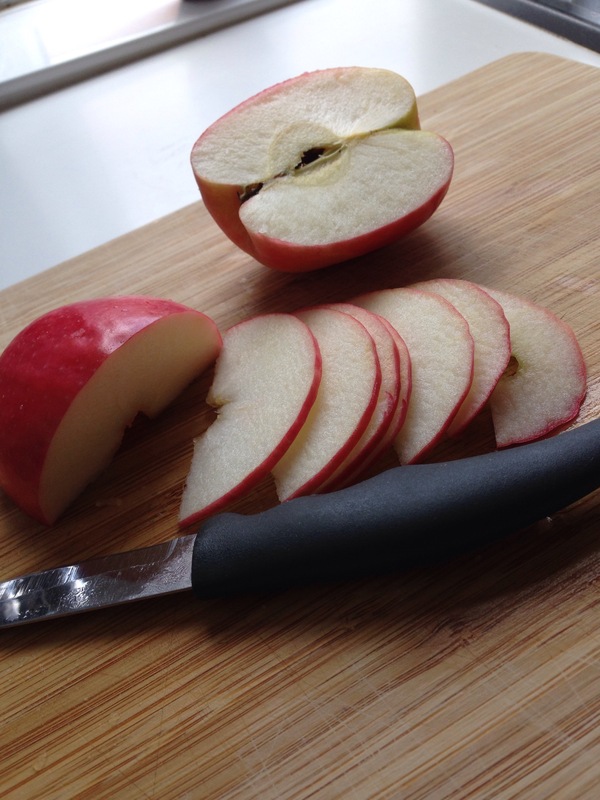 Chop the apples in half, core them, and then using a sharp knife or a mandolin, thinly slice the apples (make sure you leave the skin on!). 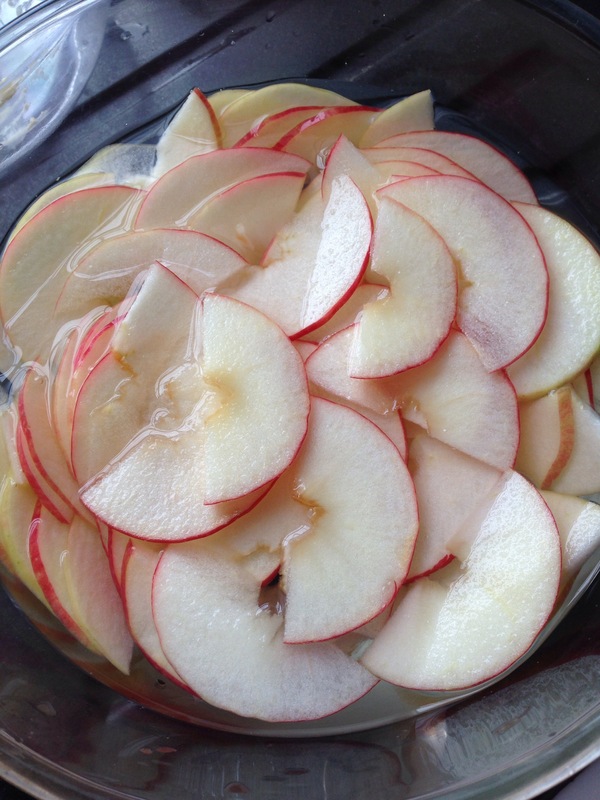 2) Put the apples in the bowl of water and microwave for approximately 5 and a half minutes until you can bend them. Drain in a colander and run cold water over them so they aren’t too hot to handle. 3) I used individual silicon muffin cases but you can use a muffin tin just the same (if you do use a tin then lightly spray with oil so they don’t stick). 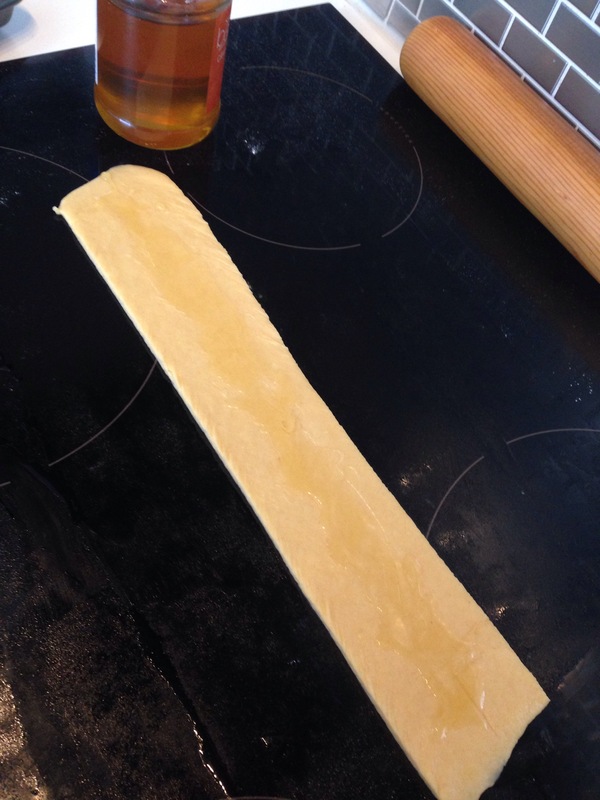 On a lightly floured surface, roll the pastry if necessary to make it long enough to cut into 6 equal strips of about 5cm in height, and 30cm in length. 4) Using a pastry brush or the back of a teaspoon, spread a light layer of honey. 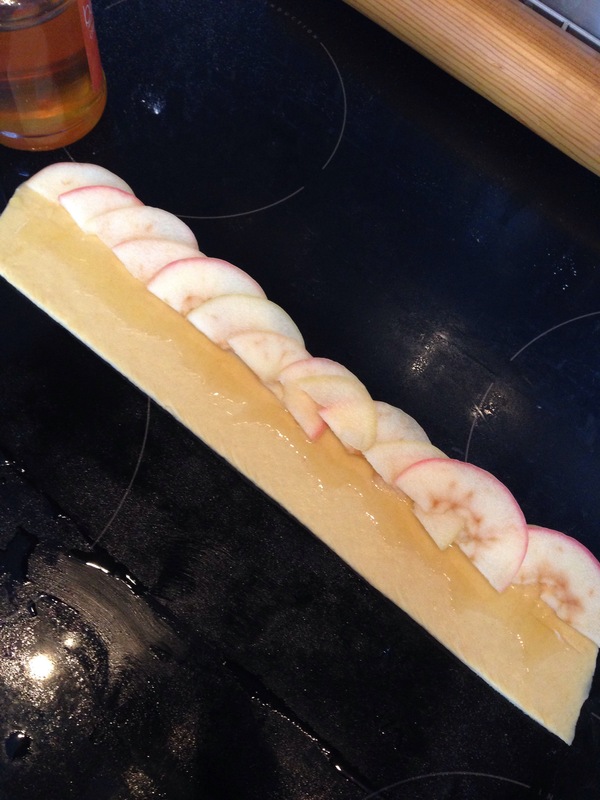 5) On the upper half of the pastry strips, add slices of apple so that they overlap slightly. 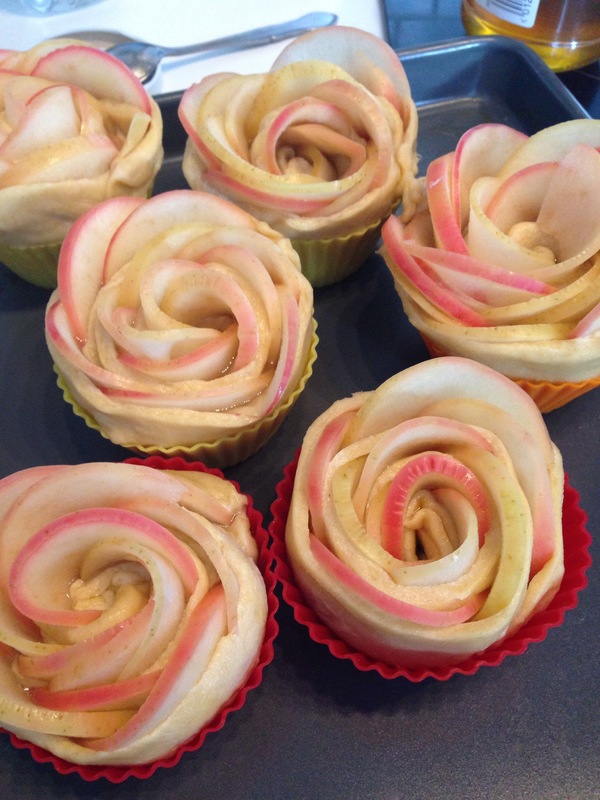 Fold the pastry so that the bottom half of the apples slices are covered. 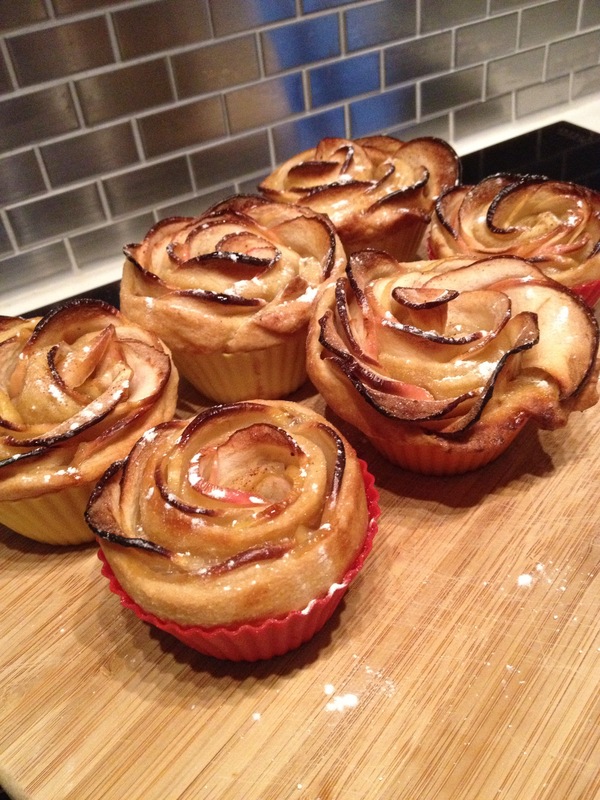 6) Roll from one end to the other to form the roses; place in the muffin case/tin and sprinkle with cinnamon, repeat for all slices of pastry and then bake in the oven for around 40 minutes until the centre part is cooked. 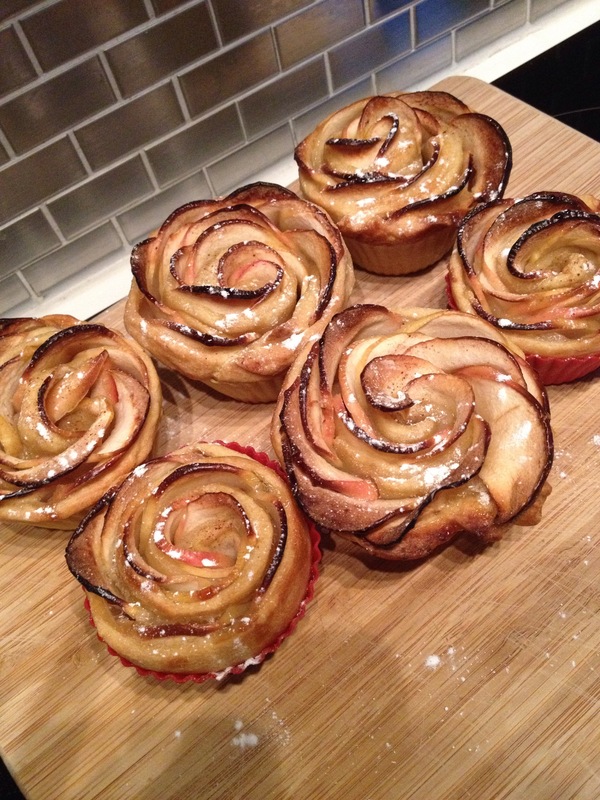 7) Sprinkle with icing sugar, and serve. These are one of my favourite things to make! These look fabulous! Sounds delicious and simple to make too.